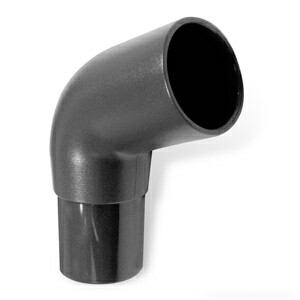 USAGE: This adapter is only for hose-to-mask or hose-to-machine connections for hose-to-hose connections see our EZ HOSE TUBING EXTENDER or 360º SWIVEL ADAPTERS for HOSE-TO-HOSE CONNECTIONS elsewhere on this site. 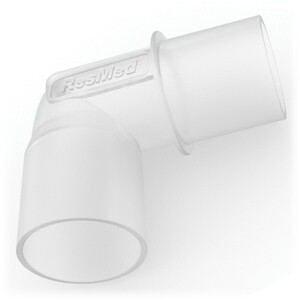 Compatible with most CPAP & BiPAP Masks. Not compatible with Breeze CPAP Masks. I have a number of mask sets and every one of them has at least one somewhere in the hoses used in each set. 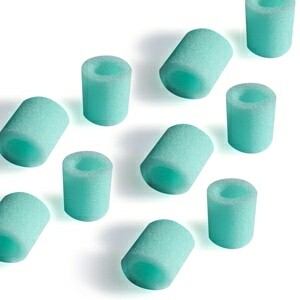 Makes suffering with RLS easier! Works as it should. I place one of these on each end of my adams circuit headgear to allow me to move around freely at night. I move around quite a bit and the swivel piece keeps the head gear from moving on my head and thus causing leaks. No issues with these swivel adapters. Just what I was looking for, my new mask system did not have a swivel built in. So, sleeping and rolling around would tangle up the hose. 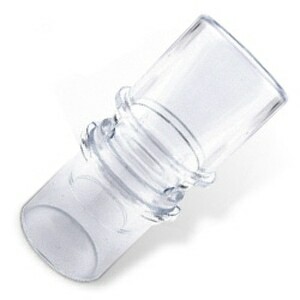 Since the swivel, it no longer tangles. Just what I wanted. 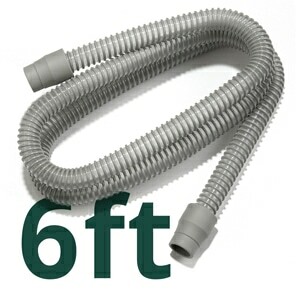 My CPAP has a very stiff hose that is hard to get it to lay where I put it. I placed a swivel on each end of the hose and now it stays were I put it. I accidentally threw out the original connector for the hose to the CPAP machine. I then directly connected the hose to the water container. By getting the replacement, this not only makes it much easier to disconnect the hose to refill the container, but also prevents wear and tear on the hose. Love it, makes hose removal and replacement easy yet no leaks. Great product. After a visit out of state, I found I had left behind this connector. What a relief to be able to replace it so easily. this device is good for people who have hand grip problems and can't get the hose disconnected from the CPAP unit. it makes the process of removing the hose from the machine much easier.